Golf Channel will celebrate the 30-year anniversary of Nicklaus’ historic victory at the 1986 Masters with ’86, a one-hour special premiering in April that tells the full-circle story of the week and Nicklaus’ memorable come-from-behind victory to secure his record 18th major championship victory and record sixth Green Jacket. Highlighted by a final-round 65 and a 6-under-par 30 on the final nine holes, Nicklaus became the oldest winner of the Masters at age 46 and the second-oldest winner of any major championship in history. 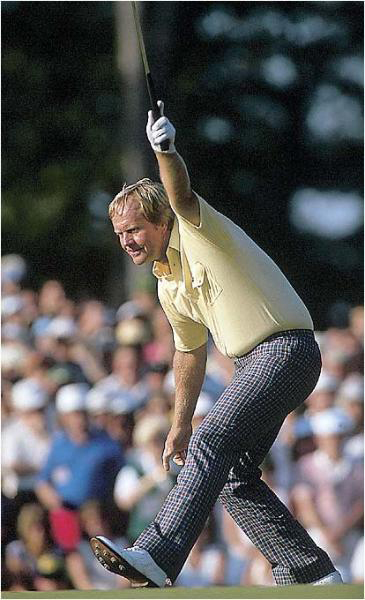 In his Masters career from 1959 to 2005, Nicklaus made 45 starts, winning in 1963, 1965, 1966, 1972, 1975, and ’86. He also holds records for the most top-5, top-10, and top-25 finishes at Augusta National. Even 30 years removed from his final Masters’ victory, and more than 10 years after his final round at Augusta National, Nicklaus owns or is tied for no fewer than 35 Masters’ records. As a part of the special, Golf Channel is asking fans to share their own personal stories in regards to the 1986 Masters, including “Where was I” anecdotes of that historic Sunday 30 years ago, at golfchannel.com/jack. Select story submissions will be featured in ’86. ’86 is being produced by Golf Channel Films, which has developed critically acclaimed long-form documentaries and specials including the Emmy-nominated Payne; the three-part documentary Arnie and a fourth installment in 2015, Arnie & Me; and Ben Crenshaw: A Walk Through Augusta. ’86 will include interviews with Nicklaus and his family, friends, fellow professionals, caddies, members of the media, volunteers and patrons who were on hand. In addition, this Golf Channel Films project will paint a picture of the world’s political, sports and pop culture climates at the time, giving viewers insight into the significance and importance of Nicklaus’ victory not only in the world of golf, but also in the wider setting of historical moments that occurred in 1986.